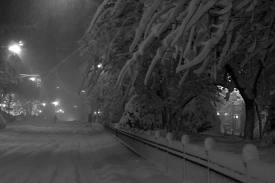 There was thundersnow in Toronto on January 20, 2013 and in parts of the U.S. this week. I didn’t know. Maybe I was sleeping or don’t spend enough time outside during snowstorms. I’m loving snow but today is more slush and I lament it wasn’t a big white pile outside as predicted but a soupy pre-skating rink mess of snow and rain. Hail snow anyways. Thundersnow is rare and can be treacherous. In Missouri this week thundersnow ‘poured’ like rain, 5cm an hour. 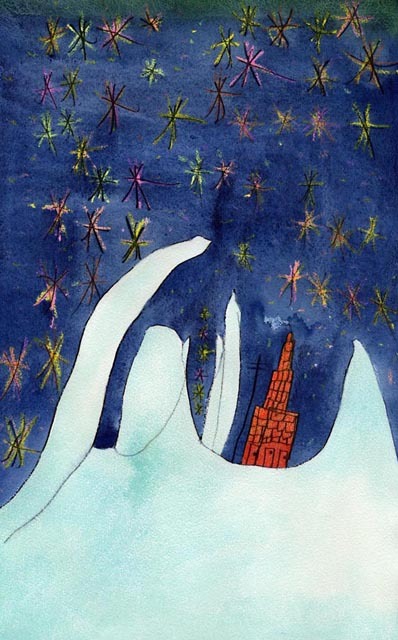 Two people lost their lives during a thundersnow in the U.S. midwest, so it is not all poetic. Weather is never one thing or another. 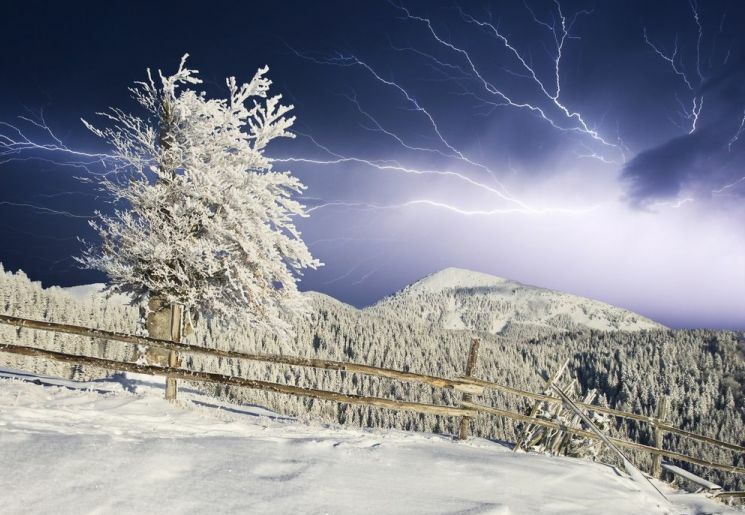 “Thundersnow—when thunder and lighting occur during a snowstorm—most often appears in late winter or early spring, experts say. That’s because the ingredients for thundersnow—a mass of cold air on top of warm, plus moist air closer to the ground—often come together during that time. Thundersnow starts out like a summer thunderstorm, Market said. The sun heats the ground and pushes masses of warm, moist air upward, creating unstable air columns. 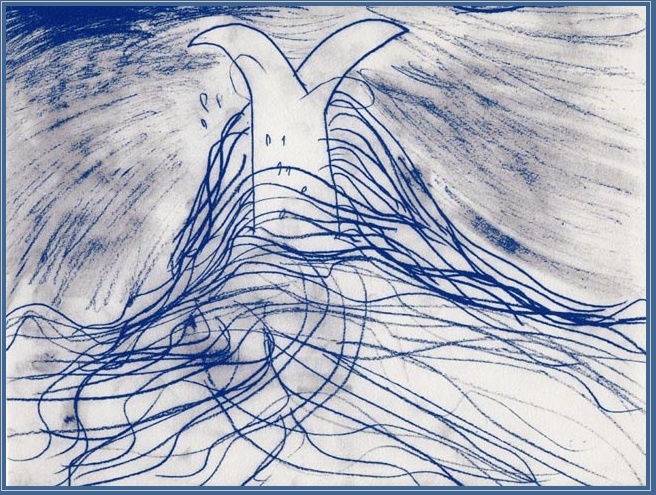 As it rises, the moisture condenses to form clouds, which are jostled by internal turbulence. The “tricky part” for making thundersnow, Market said, is creating that atmospheric instability in the wintertime. 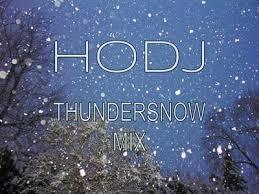 A Thundersnow mix on soundcloud for you. 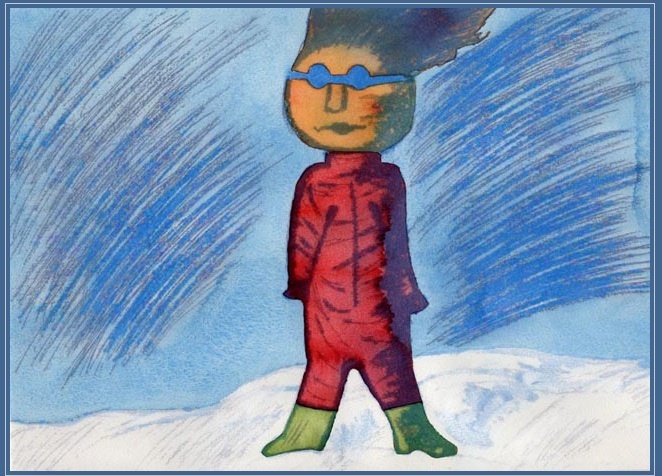 ABCC friends, if you have any kids Antarctic drawings, please send them to us and we’ll feature them. 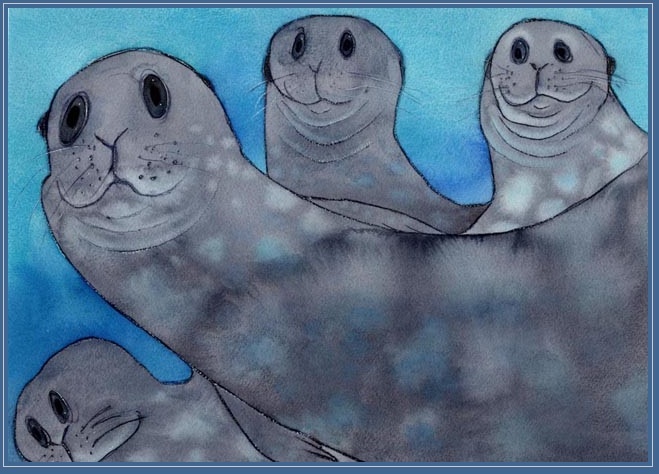 When children’s author and illustrator, Alison Lester travelled in 2005 as an Australian Antarctic Arts Fellow, thousands of children from schools around the world were inspired by her journey, using her online diary and photographic journal to track her adventure. 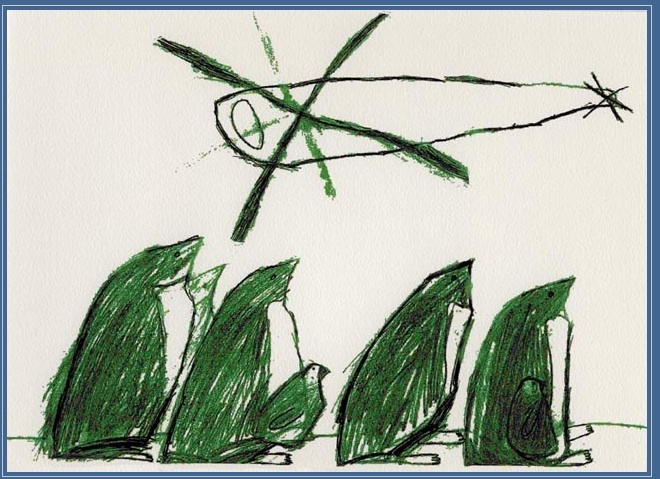 By keeping in touch with Alison, children followed her trip, leaving from Tasmania on the ice breaker Aurora Australis, to Mawson Station and Casey Station on the Antarctic continent and the sub-Antarctic Macquarie Island. 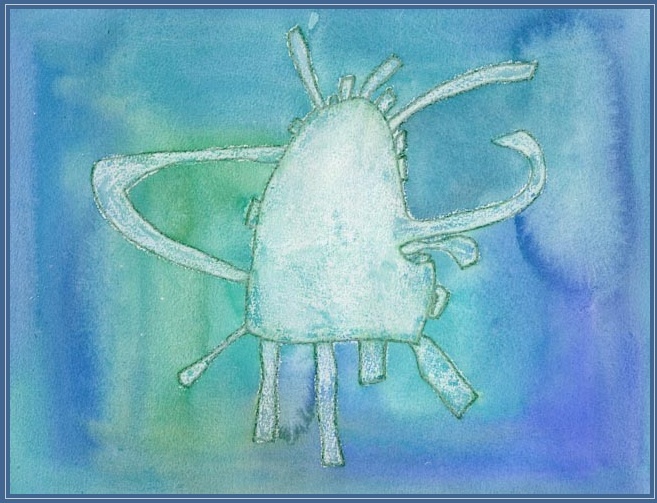 Alison encouraged the students to draw in response to her descriptions and photos and there was a massive response from children wanting to be a part of the project. 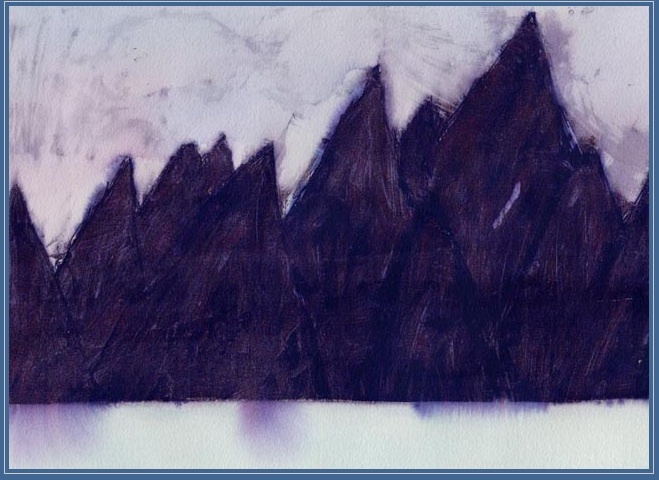 On her return home she was inundated with beautiful drawings of Antarctica as imagined by the children. 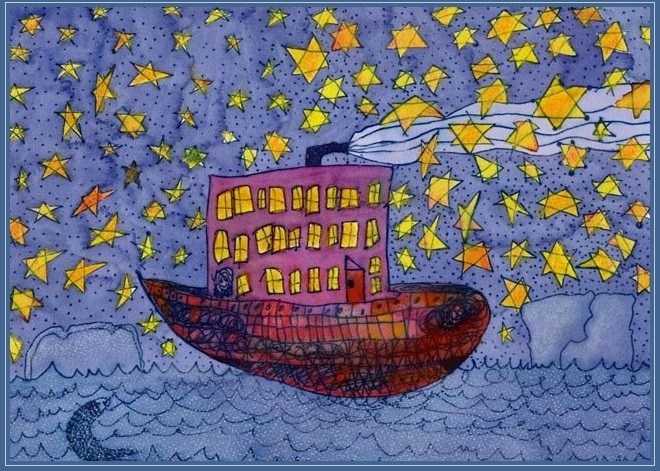 Alison has since used these illustrations to complete an exhibition of work which combines the children’s line drawings with her design and colour. The first showing of Kids Antarctic Art, a collaboration, was during Hobart’s Midwinter Festival 2007 at The Tasmanian Museum and Art Gallery. The works have since returned to Melbourne.